Could this be a break for families of missing loved ones? Skeletal remains were found in a wooded area near State Road 417 over the weekend as police searched for missing mom Yessenia Suarez and her two children. However, it was determined that the remains were not those of the mom and her children as they had been there too long. The three had just gone missing on October 23, 2013. So who did authorities find? As the Orlando Sentinel reports, such a discovery brings both hope and anxious moments to the Florida families of missing loved ones like Jennifer Kessee, Tracy Ocasio and Michelle Parker. Drew Kesse, the father of missing Jennifer contacted authorities after reading the story of the discovery to inquire whether it might be his daughter. as Drew said, “I simply wait. One of these times, it’s going to be Tracy. It’s going to be Jennifer. It has to be.” God Bless these parents of missing children and let them have some solace, peace and closure. “You don’t want to get your hopes up because it hurts too much when the answer is negative,” said Elizabeth Ocasio, whose daughter Tracy vanished in 2009 after leaving a bar with James Hataway, whom she met a few weeks before. 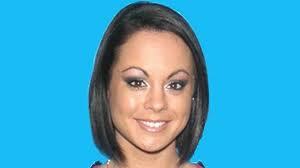 Detectives later found Tracy Ocasio’s car near Hataway’s home in Ocoee. Police have said Hataway is the only suspect in the 27-year-old’s disappearance. He was subsequently sentenced to life in prison for the attempted murder of another woman. Ocasio is one of several women missing in Central Florida in cases where authorities suspect foul play. Jennifer Kesse disappeared from her condo near Mall at Millenia in 2006. Orlando police found her car about a mile away, and detectives have said they think the 24-year-old was abducted. Michelle Parker, a mother of three, vanished in November 2011 after dropping off her young twins with her ex-fiancé, Dale Smith. Orlando police said Smith is the only suspect in the case, but he has not been charged in connection with Parker’s disappearance. Say a prayer for all of these families that they may find answers and peace.